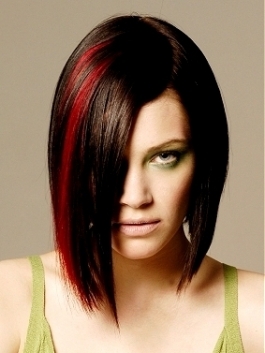 The latest inverted bob haircuts give you a great source of inspiration if you are eager to try a new look this season. Bob hairstyles that became widely popular in the 1920s made their appearance in the last decades having a huge success among young ladies and every age group in general. Numerous celebrities opted for inverted bob haircuts over the past years. The inverted bob haircut basically consists of an asymmetric cut, which is usually shorter in the back than in the front. In fact, inverted bob switches up the classic, same length bob, thus giving the name to this style. It is easy to maintain and it’s definitely one of the sexiest, most feminine haircuts, regardless of age. You can also add some layers or even curls to it to obtain more volume for your hair. This fantastic haircut delicately highlights the neckline, optically lengthening the neck and making it really attractive. Inverted bob hairstyles are really up to date, chic and sophisticated. You can easily texture the ends of your hair all around. A stunning look can be easily achieved by parting your hair lower on one side, this way you can pull the hair on the other side of your face. This type of hairstyle is constantly evolving, it’s always interesting and very feminine. A well chosen haircut will make its wearer feel more confident by adding a whole new frame to the face. The greatest advantage of the inverted bob hairstyle is the fact that ladies can freely experiment with a wide range of styles that suit their face best. The asymmetric cut facilitates a large variety of looks, your hair being either short or longer. 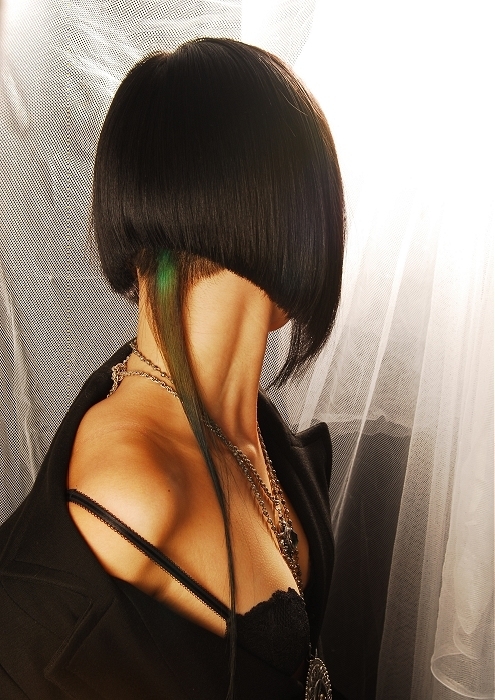 Inverted bob is such an amazing hairstyle that it is impossible to remain unnoticed wearing it. Famous names like Victoria Beckham, Katie Holmes, Rihanna, or Paris Hilton have worn for a long time inverted bob haircuts, which continue to be the favorites of Hollywood celebrities. 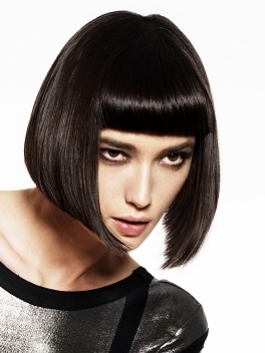 The popular and chic inverted bob is a hairstyle that perfectly suits every face shape. You can also add bangs, colors, layers and curls to your inverted bob haircut, transforming it into a more personal, edgy look. 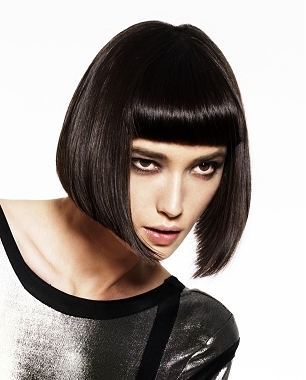 Inverted bob is a modern cut and it simply never goes out of fashion. You can try adding bangs to your inverted bob haircut, either sweeping the bangs to the side, or wearing them fringed across your forehead. Get some inspiration from these inverted bob hairstyles and get yourself a new, glamorous look this season!